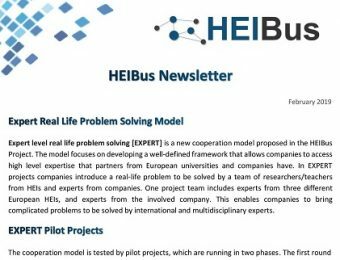 Read More > "– About Project –"
Intellectual outputs, Dissemination materials, Events and more… on HEIBus Project – Activities and Results Page. 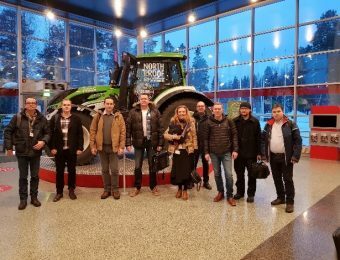 Read More > "– Activities and Results –"
Read More > "– Project Team –"
Read More > "– Experts Support Service –"
What is new in HEIBUS ? 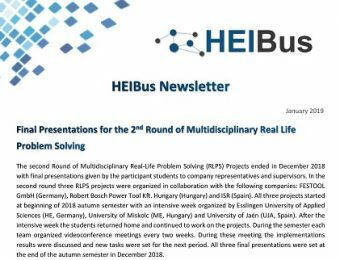 Read More "Sixth HEIBus Newsletter"
Read More "Second Round of EXPERT Projects"
Read More "Fifth HEIBus Newsletter"
Read More "Final Presentations for the 2nd Round of RLPS Projects"
How can you Participate ? During HEIBus project implementation, the new innovative cooperation models will be applied. This will involve active participation of companies and HEIs. As a company, you can offer research themes for RLPS and EXPERT projects and also be a part of the student Mentoring Program. 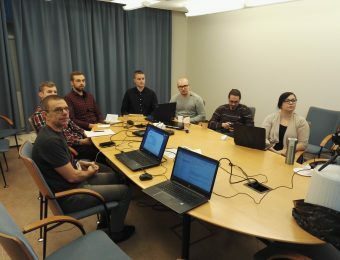 As a student you can participate as part of the international teams in the RLPS Projects that will be developed in two stages during 2017 autumn and 2018 autumn or in the study groups from the Mentoring Program. As HEI staff you can participate as a researcher in the EXPERT Projects. 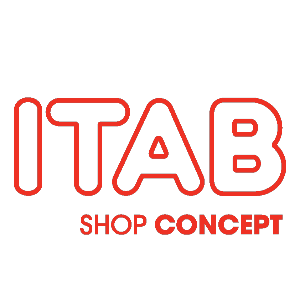 The EXPERT Projects will be developed in the beginning of 2018 and 2019.